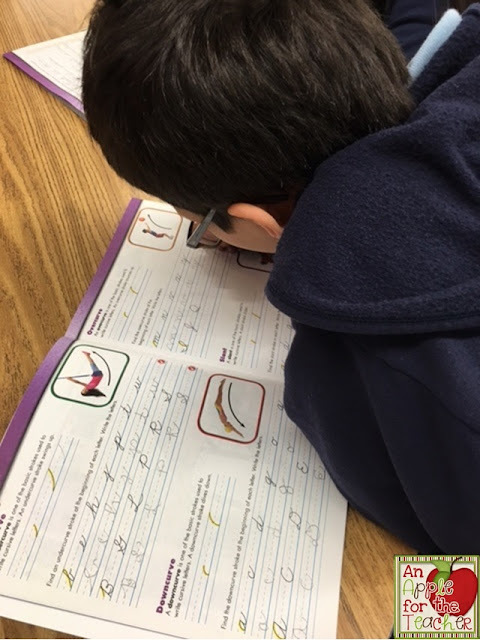 I believe that cursive writing is an extremely important skill for students to learn. Not only is it a way for students to write in an elegant manner, but their is brain research that shows that it can actually make students smarter! According to this article, scientists have discovered that learning cursive is an important tool for cognitive development, particularly in the area of training the brain to learn "functional specialization" - the capacity for optimal efficiency. As a student learns cursive writing, their brain develops functional specialization, integrating sensation, movement control, and thinking. 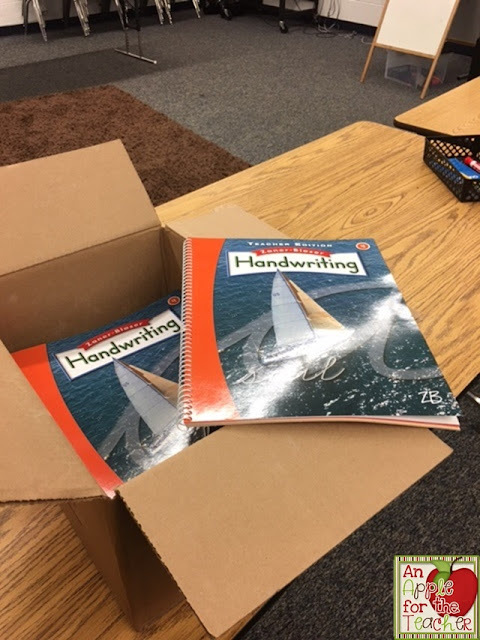 When I taught 3rd grade, our school ordered handwriting books, but, because I looped with my students, we had already used those books. I was searching for something different to help my students maintain their practice and further develop their cursive writing skills. When Zaner Bloser asked me to review their newest handwriting program, I wasn't quite sure what to expect, and I wondered how it would be different from other handwriting programs that are available. 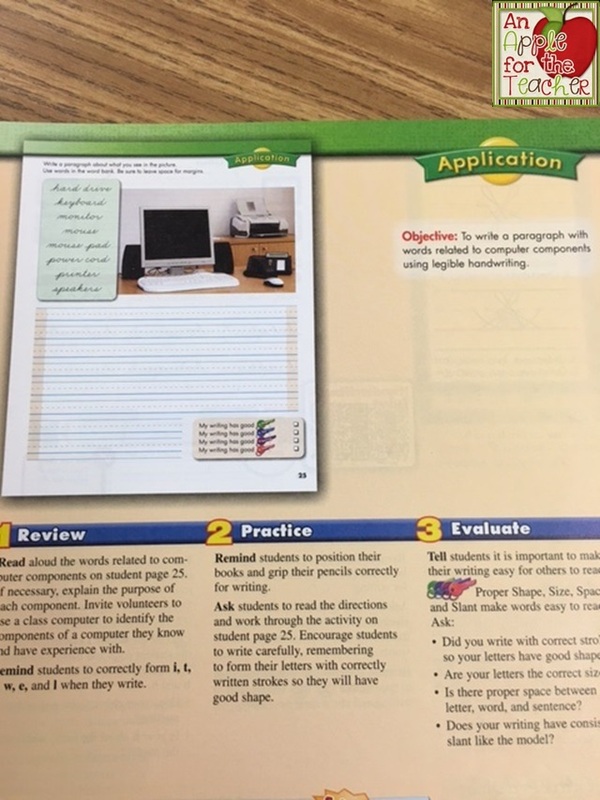 The handwriting program comes with both a teacher's edition and student editions. I especially liked the fact that there was a teacher's edition included which gave lots of helpful hints and tips for teaching my students how to properly form their letters. In addition, there are ways to tie the handwriting into other subject areas as you can see below. This example ties into both writing and technology. I love that I am able to effectively teach cursive without taking too much time up during the day - we average less than 15 minutes a day for each lesson. 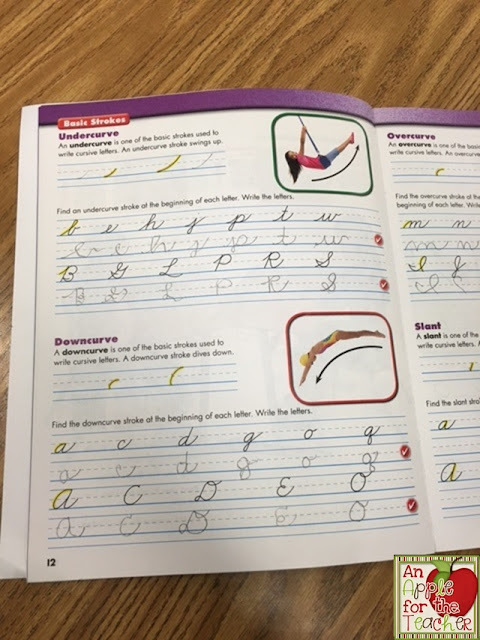 I love that my students really enjoy the program, and more importantly - love cursive writing! 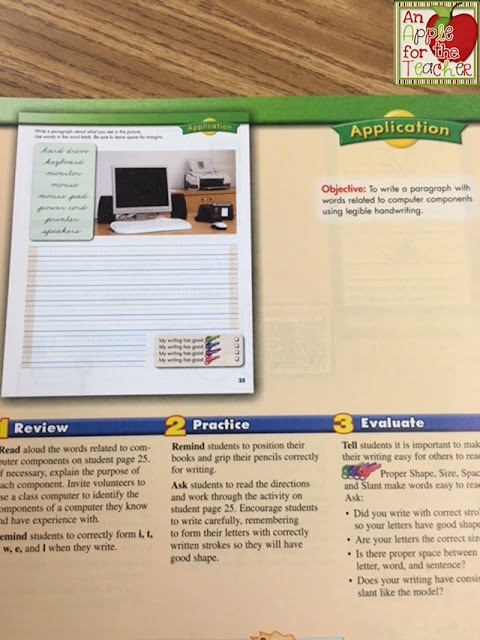 In addition to the books, the program also includes a Handwriting Tutor in which students scan QR codes in the book in order to access animated letter models and how-to videos.There is also a Handwriting app that allows students to play a game while learning to write. 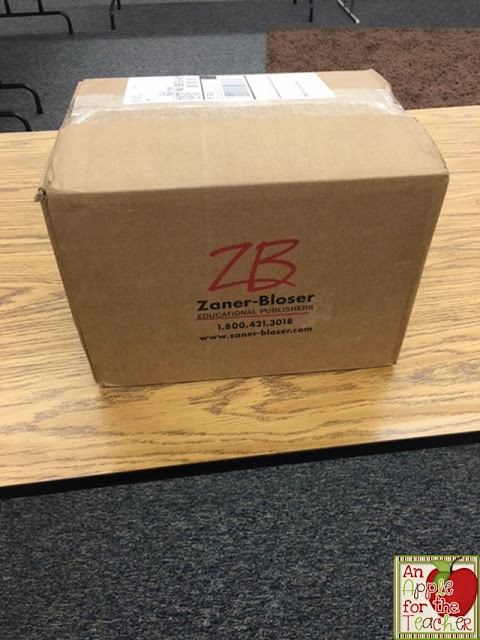 The Zaner-Bloser Handwriting curriculum offers programs from PreK to 6th grade. 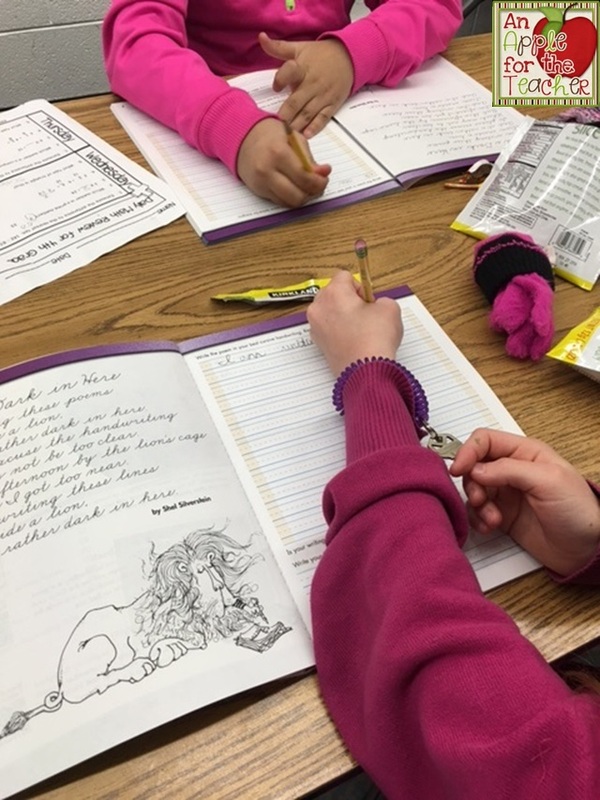 You can request a sample for your grade level here. 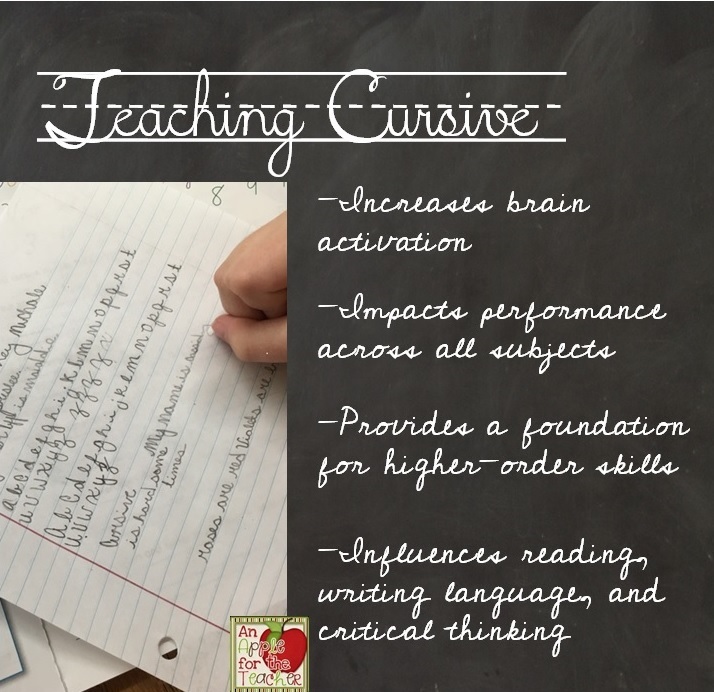 Curious, do you teach cursive? Comment below and let me know! 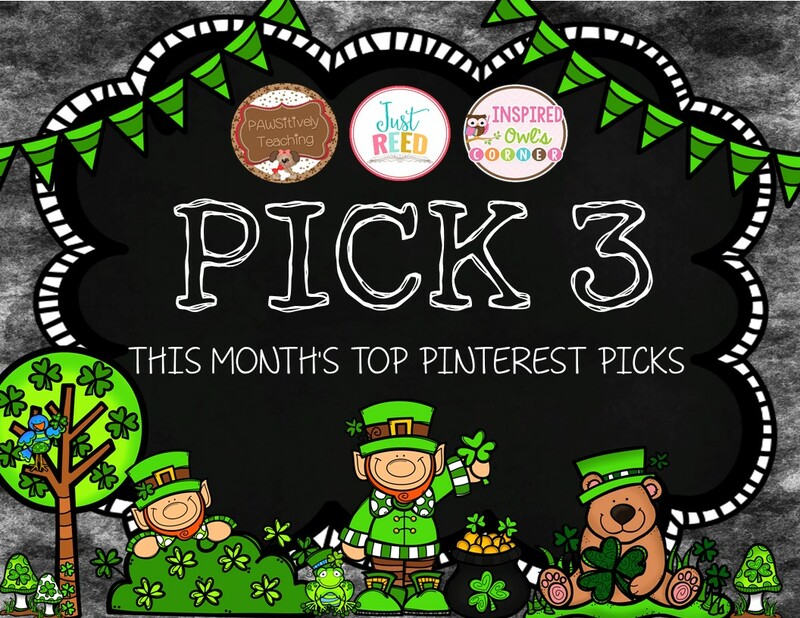 March is here, and with it, The Pinterest Pick 3 filled with tons of Pinterest pins for your March planning inspiration! 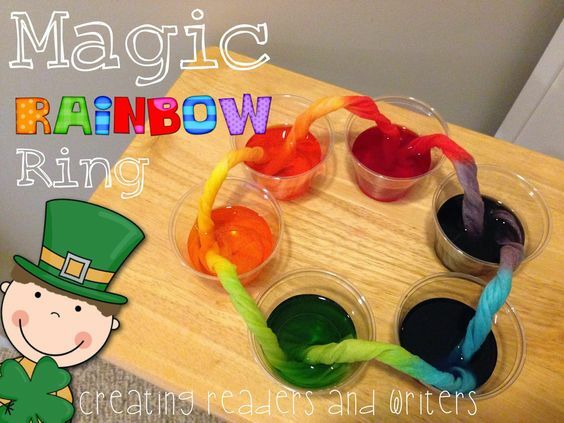 This Magic Rainbow Ring science project looks like it would be a great activity for St. Patrick's Day. 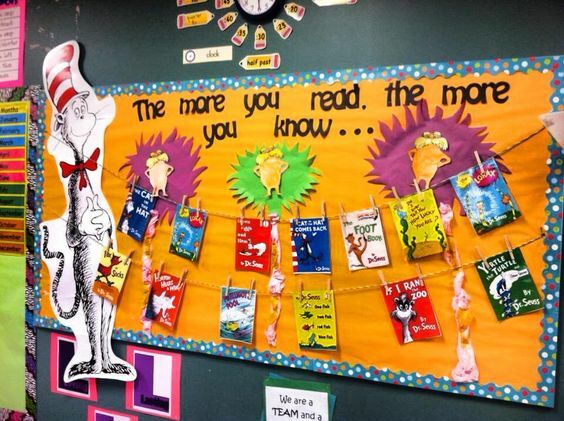 If your school is celebrating Reading Week, you might like this Dr. Seuss themed bulletin board. 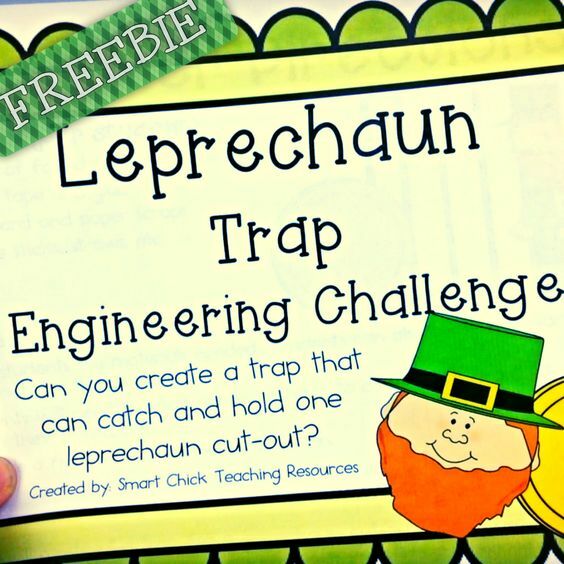 If you are looking for a fun STEM project, you might like this Leprechaun trap project. Best of all, it's a FREEBIE! This FREE packet contains all the information you need to make this a great engineering activity in your classroom! I am constantly updating my Pinterest Boards, so if you would like to see more of the ideas I've pinned for this month and more, be sure to check them out! Visit An Apple for the Teacher's profile on Pinterest. 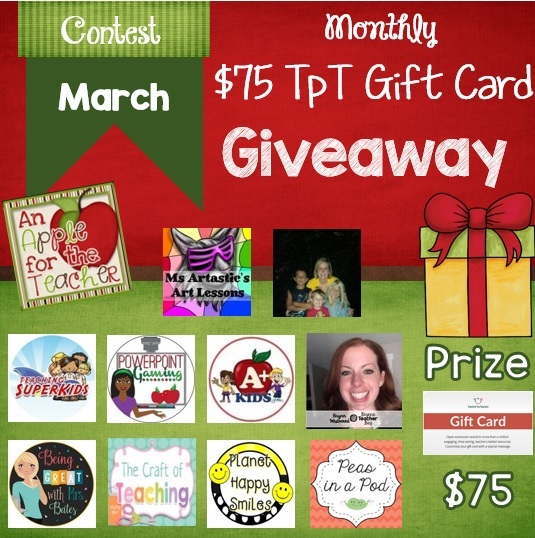 Don't forget to visit our Giveaway Page for your chance to win Teachers pay Teachers gift cards and other fabulous prizes!